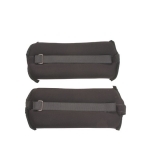 Build your stamina with the Champion Sports Soft Adjustable Ankle and Wrist Weights. 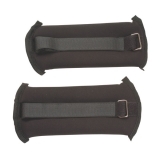 Featuring a soft neoprene fabric cover for friction-free comfort and a Velcro® closure, these ankle weights are available in one size that fits most. 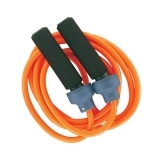 Increase your cardio endurance with our high quality Champion Sports Weighted Jump Ropes. 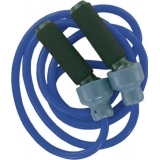 Made of solid rubber with foam covered ball bearing handles, these 9ft ropes are sold in several weights to suit your fitness needs. 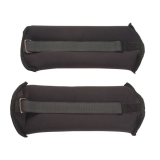 The Champion Sports Therapy & Exercise Flat Bands are great for group fitness and personal training sessions. 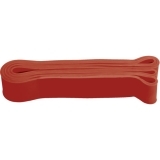 These 5" wide bands are also commonly used for physical therapy and rehabilitation. 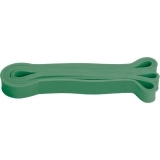 Offered in 4' lengths, the bands are available in seven different color coded resistance levels. Adding a little resistance to your workout can help improve strength, flexibility, and overall fitness. 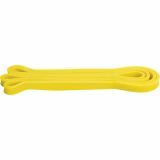 These 42” Champion Sports Stretch Training Bands are long enough to apply to any of your fitness needs! 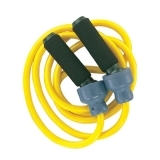 We offer a variety of color-coded resistance levels to meet all your fitness needs. 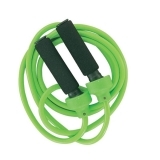 Adding a little resistance to your workout can help improve strength, flexibility, and overall fitness. 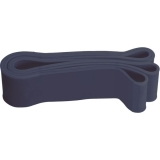 These 42" Champion Sports Stretch Training Bands are long enough to apply to any of your fitness needs! 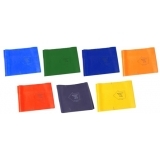 We offer a variety of color-coded resistance levels to meet all your fitness needs.